El Tuito is a small, quaint 16th century mining town with a rich history of Spanish influence mingled with native Nahua tribal culture. 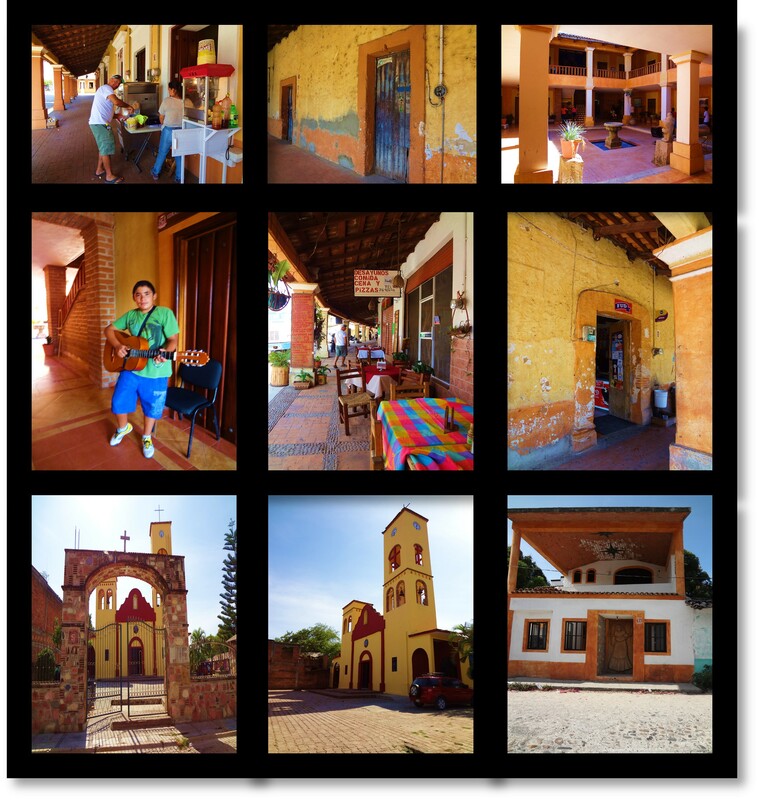 Located south of Puerto Vallarta and situated in Cabo Corrientes, this Mexican colonial village is nestled high in the Sierra Madre mountains. At an elevation of 2,500 feet, its inhabitants enjoy much cooler temperatures and less humidity than residents of Puerto Vallarta. Driving to El Tuito is an easy and scenic road trip down well-paved Highway 200. In addition to semi-tropical foliage, visitors will notice that the area’s vegetation also includes oak trees and pine trees. Although crumbling in many spots, the exterior of El Tuito’s old adobe buildings are very alluring and radiate plenty of historic charm. Surrounding its lovely and quietly pleasing town square, the buildings are drenched in cheerful hues of orange and yellow, with the majority of these structures having roofs made of red terracotta tiles. The streets of the village are a mixture of packed dirt and cobblestone. Besides the occasional festival, there are not a lot of activities happening in this low-key village. Residents of El Tuito relish the the simple, laid-back pleasures of Mexican life. El Tuito is located 48 minutes south of downtown Puerto Vallarta, Mexico. As El Tuito is just 18 minutes south of the Botanical Gardens, it makes good sense to visit these two locations on the same day. The primary focal points of El Tuito is the town square and the church. It’s a very sleepy, quiet town off the beaten tourist path where knowing a bit of basic Spanish will be very helpful. El Tuito is small enough that you can park your rental car along the perimeter of the main square and then explore the village on foot. Total travel time to El Tuito from downtown Puerto Vallarta is 48 minutes. 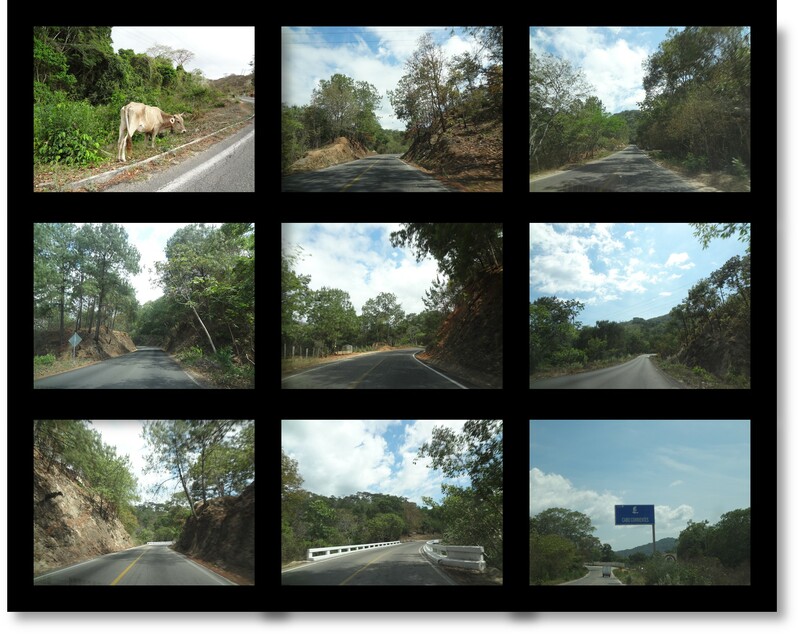 These photos capture sections of the 18-minute drive to El Tuito with the starting point being the Vallarta Botanical Gardens. Drivers should be aware that cattle freely roam near the highway to El Tuito. Other than that, the drive is very easy with gentle twists and turns and is a very pleasant experience. This is definitely not a full-day excursion; with an hour’s time you can have a very satisfying visit in El Tuito. For the avid photographer, El Tuito offers a wealth of beautiful images just waiting to be captured by the lens. 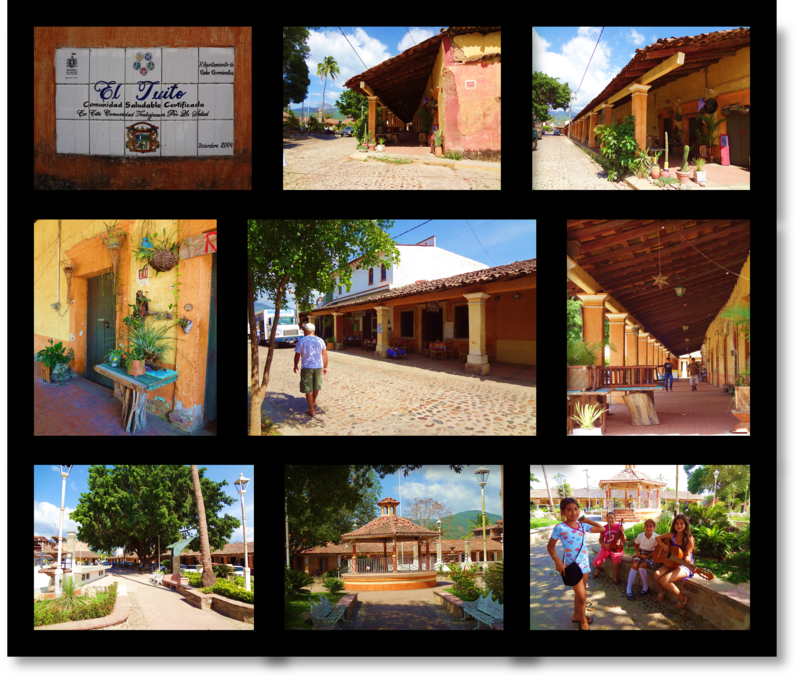 For the well-seasoned traveler to Puerto Vallarta, a short visit to El Tuito can be a relaxing diversion on a hot summer day.